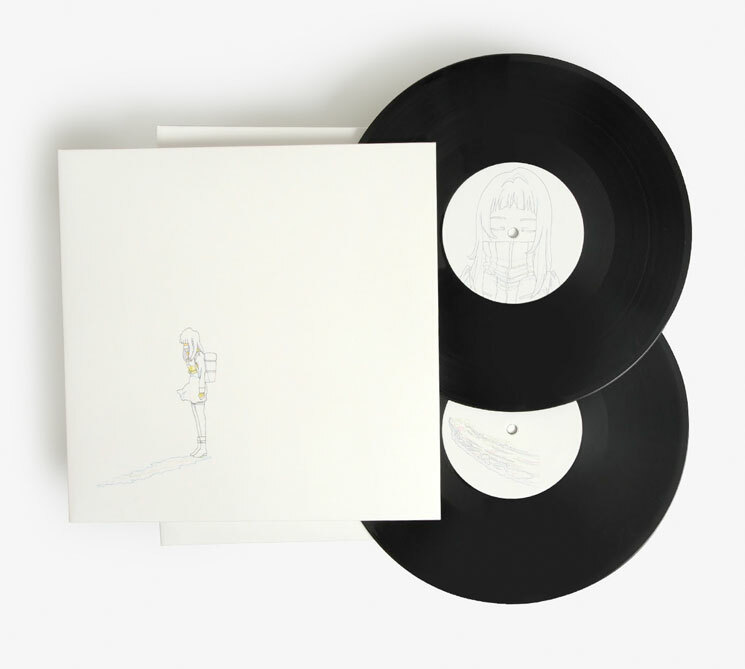 Following the Jackie score and a recent live rendition of the stellar Under the Skin soundtrack, Mica Levi has emerged with another new release. The acclaimed UK composer has just released a soundtrack to the anime Delete Beach, which has arrived via Demdike Stare's DDS imprint. Delete Beach was directed by Phil Collins and illustrated by revered animator Marisuke Eguchi, with the film set in a near future where carbon-based energy is outlawed and, as a press release explains, "supposes a paradoxical scenario, one where fossil fuels — the ostensible accelerator of humanity's progress and decline — become energy for the toil against state oppression and enforced inequality." Levi's resulting soundtrack arrives in a limited-edition of 500 copies, which come as two 10-inch records and digitally. It also include a 12-page 10" x 10" booklet with anime cells, as well as cover art that features blueprint sketches by Eguchi. This is Mica's first musical accompaniment for animation, once again using her signature palette of dissonant strings and combustible electronics that just completely get to us every time. She paints a series of sweeping backdrops to the film's blend of classically-schooled anime and up-to-the-second CGI designs in a way that we find it hard to imagine any other contemporary soundtrack producer could have managed — somewhere between Arthur Russell, John Carpenter and Johann Johannsson. You can order the release here, where you can also listen to sample of all the tracks. You can check out the full version of the stunning "Interlude 2" below as well.